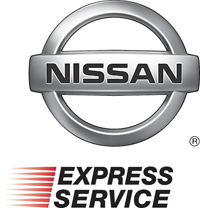 ANNOUNCEMENT: Windsor Nissan will be open on Sundays from 9am-3pm for Express Service!!! Starting 4/15 – so put it on your calendars!! We often spend more time than we realize living in our cars, so when spring rolls around, it’s time to clean out your car—inside and out. First get rid of all cans, bottles, wrappers, gravel, files, junk mail and leftovers from that last potluck so you can see what you’re doing. If you’re using your trunk for short term storage of equipment, sand, shovels, etc., it’s time to unload that. The extra weight makes your engine work harder and decreases your gas mileage. First wash all the inside surfaces—except anything leather—with a wet rag and some mild soap. A good strong vacuum like a shopvac will help you clean the floors of sand and rocks. Then it’s time to tackle the outside. You might think it will save you some time to go through one of those automatic car washes, but this time of year that might not be a good idea. Those devices see a lot of traffic in the Spring, and that forces them to recycle the water more than you might want. Do you really want recycled, potentially dirty water, sprayed on your car? So doing it yourself is advised. The combination of fresh air and exercise will get you in a good mood for Spring. If you can, wash your car in the shade. Washing it in the direct sunlight will not give you good results especially if it turns out to be a hot day. Washing the exterior is easy, but it’s even easier to forget about the underside. That’s where the chemicals and rocks and sand can give rust a grip on your car, so rinse the underside while you’ve got the hose out. Once you get it dry, a good waxing will really convince you winter is over. A spray-on wax is the easiest to use, but paste wax will last longer. Finally, while you are waxing, make a note of any dings in the finish. There are a lot of rocks and sand on roads during the winter, and they can mar your finish. Once a ding gets through your paint, it gives rust something to hold onto, so get those fixed early.